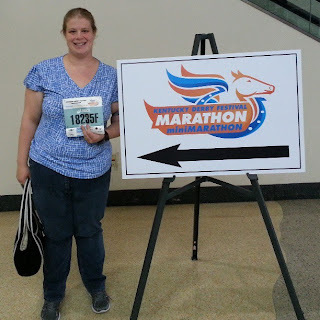 The Kentucky Derby Mini-Marathon...as told by my wife who ran her first Half Marathon!! Here it is everyone! My wonderful wife, Damary, ran her FIRST Half-Marathon, this past Saturday! I didn't think I would be able to describe her first Half-Marathon, any better than her! So here is here write up and I would just like to Thank her for this and let her know how INCREDIBLY proud of her I am!